Seeing the concentration camp was a deeply shocking experience, even after having read a great deal of the history of Nazi Germany and World War II. 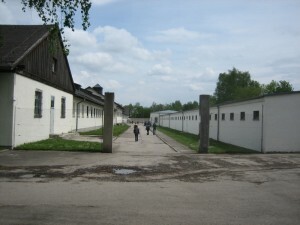 But the one really appalling aspect of the way in which the camp was described when I visited it was the way in which the government of the German Democratic Republic (GDR) clearly used the camp for its own propaganda purposes, greatly exaggerating the significance of the execution of Soviet soldiers in the camp, to the detriment of the examination of other groups who must certainly have been killed there — including Jews, of course, but also Slavs, Socialists and Communists, Christian resisters, Roma (‘Gypsies’), and those we would call ‘LGBT’ (lesbian, gay, bisexual and transgendered) or ‘queer’ today. Since the collapse of the GDR regime in 1989 and the reunification of Germany (which I witnessed personally while living in Berlin in September-October 1990), the discourse employed by those in charge of the exhibitions at Buchenwald have no doubt been update to reflect a less propagandistic and more accurate depiction of Buchenwald and the residents of the camp and the victims of the Nazis who ran it. In contrast to the GDR Communist Party-influenced propaganda that harped on the alliance of anti-fascist forces that I saw at Buchenwald in 1991, I was gratified to see a memorial plaque to the ‘homosexual victims of National Socialism’ (‘Totgeschlangen/Totgeschwiegen den homosexuellen Opfer des Nationalsozialismus’) when I visited Dachau later that summer with a Jewish-American friend of mine. Instead of GDR-influenced propaganda, the descriptive material mounted under the auspices of the government of the Federal Republic of Germany (FDR) was respectful and inclusive. As my friend and I walked through the camp, Tema told me about the German Jewish relatives that she lost at Auschwitz, the death terminus for the Nazi system of extermination of the Jews. 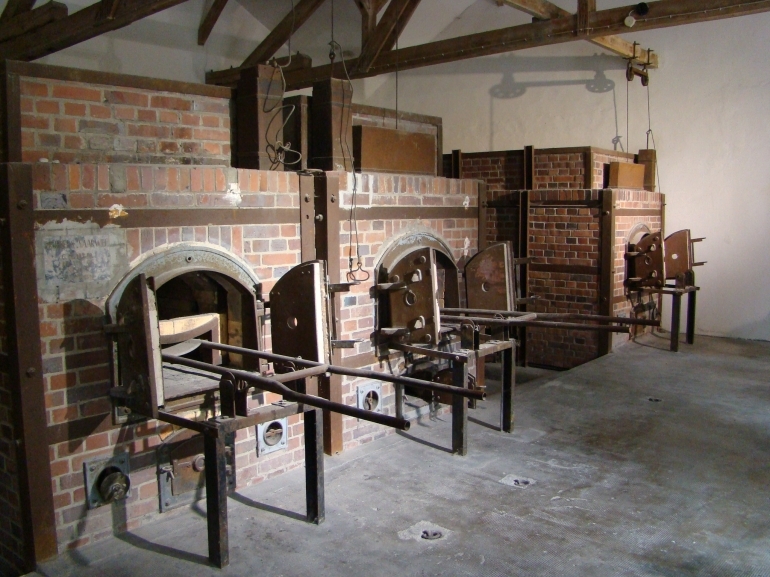 (After Auschwitz, Buchenwald and Dachau were perhaps the most notorious of the camps.) Tema and I fell into a deep conversation on life and death and good and evil, without coming to an agreement; I expressed my belief in the existence of evil, which I saw embodied in the concentration camp we were surrounded by, while she demurred — ironic, given that she had lost so many family members to the camps and I had not. 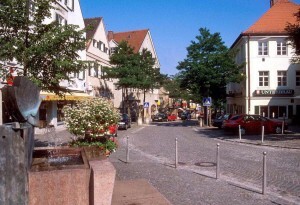 I also commented on how ironic it was that the village of Dachau was picture-postcard pretty, in stark contrast to the ugly brutality of the concentration camp to which the town gave its name. It was only many years later, in 2013, while doing genealogical research about my father, that I discovered that he fought in the Sixth Army, which actually liberated three concentration camps — Heersbruck, Ohrdruf and Mauthausen — Ohrdruf being a subcamp of Buchenwald. I recalled my mother telling me after my father’s death about his being traumatized by his encounter with concentration camp victims in camps that his division helped liberate. It gives me enormous pride to think of my father’s role in the liberation of these camps. I recently discovered an on-line history of the 65th Infantry Division in which he fought; the last letter that I have from my father to my mother comes from Enns, the town in Austria that the division terminated its campaign at in May 1945, confirming that this was indeed the division he fought in. That on-line history documents the fact that my father’s division passed through Regensburg in April 25-26 of that year, which I did not know when I was living there in the Golden Tower (Der Goldener Turm) in the summer of 1991. Though he was traumatized by his participation in the ghastly war and the ghoulish sight of the concentration camps, my father was one of the soldiers blessed to be able to return to his family back in the United States, unlike so many who did not. I fully agree with the injunction that we should never forget; but I think we need to consider what it is we should not forget. We should certainly not forget the Holocaust, nor should we forget that Hitler’s aim was the elimination of the entire Jewish people (the ‘Final Solution,’ as the Nazis called it). 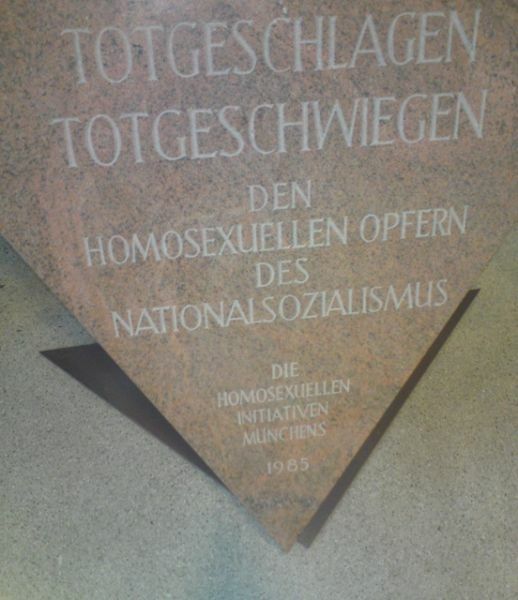 But we should also not forget that many others were sent to the camps to hard labor and in too many cases to their deaths, including people we would now call LGBT, as well as Roma (‘Gypsies’), the disabled, political opponents of the Nazi regime (many on the ‘left’) and so many others. Perhaps the most important thing is to avoid using the Holocaust to justify postwar injustices, such as the ‘Nakba’ — the ethnic cleansing of indigenous Palestinians that was the prelude to the establishment of the state of Israel in 1948 — and the occupation of the West Bank, East Jerusalem and the Gaza Strip after the 1967 War; to use the Holocaust for such purposes dishonors those lost in the Holocaust as well as those lost fighting to liberate the Nazi concentration camps in which the regime’s victims were tortured and murdered. And of course, to state the obvious, it was not Palestinians who pushed Jews into ovens at Buchenwald, Dachau and Auschwitz, so to subject Palestinians to collective punishment for the Holocaust would be doubly wrong. ‘Never again’ must mean not only never again should Jews be murdered but never again should any individual or people be subjected to oppression on the basis of race, religion, ethnicity, national origin, sexual orientation, gender (including gender identity or expression), disability, or any other reason. 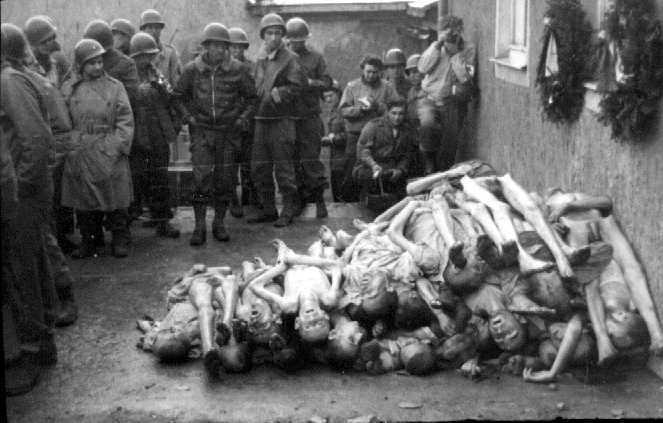 Holocaust Memorial Day must be a day on which we honor all victims of the Holocaust and avoid dishonoring any of them by using the horrendous fact of that genocide to perpetrate any other crimes against humanity.